Welcome to 195 Hillside Drive! This 3 bedroom/2.5 Bath Colonial was built in 1994, and completely renovated in 2017. Vinyl Siding with raised panel shutters, all new vinyl windows and a brand new architectural roof. Attached 2 car garage, and also a 24' x 24' detached garage in the back yard. Perfect for a workshop, storage or a future man-cave! 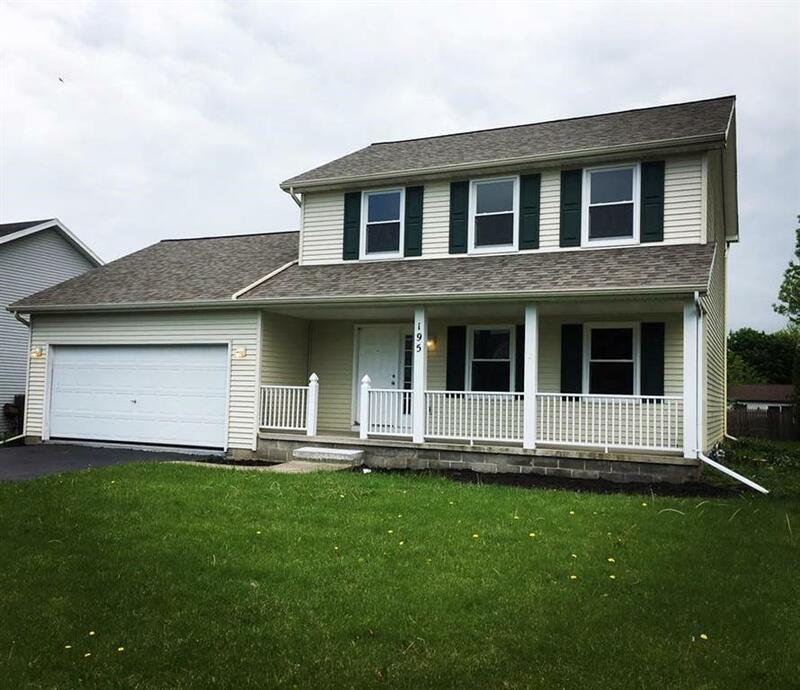 Inside the home you'll find cherry hardwood floors throughout the first floor, with new carpet in all the bedrooms, as well as the finished basement. Fresh paint throughout. Big master bedroom with walk in closet. Finished basement w/ full bathroom. High Efficiency furnace w/ central air. New patio door leads to deck/patio overlooking the backyard. Great location within the Village of Hilton. Come see all this home has to offer! Directions To Property: From Route 104/Ridge Rd., Take 259 North Toward Lake Ontario, Turn Right Onto Hillside Drive.